The selection of a president is often the most consequential decision a governing board must make. 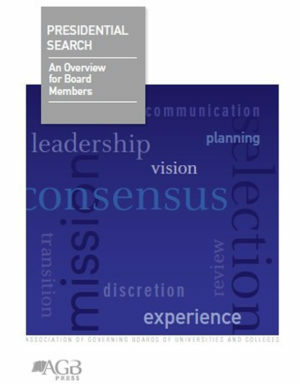 To help boards get it right, these two new AGB Press publications provide expert guidance and up-to-date information on all phases of the search—and beyond. 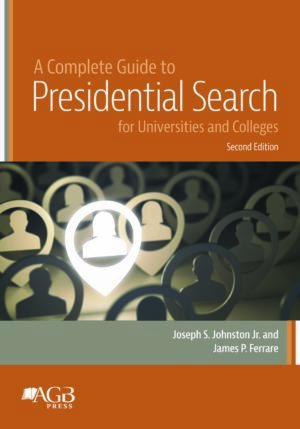 A Complete Guide to Presidential Search covers all aspects of the search process, from recruiting and evaluating the best candidates to planning for a successful transition. Presidential Compensation provides the in-depth information needed to determine appropriate compensation, to prepare an employment agreement, and to review and alter both agreement. Save 20% when you purchase both new titles together!